I'm interested in some coral for my aquarium. Great! We have a variety of corals available. Stop by and let our friendly staff help you find just the right ones to suit your aquarium needs. Do you carry saltwater fish? We certainly do! 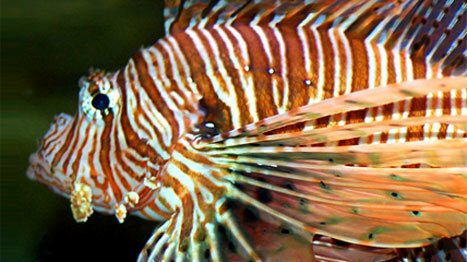 Visit our Saltwater Fish page. What about crabs, starfish or anemones? We've got a large selection of invertebrates that include crabs, starfish, anemones, clams, urchin, shrimp and more! I need a custom aquarium. Can you help me? Absolutely. We are here for every step of the way. Custom aquarium design and installation is our specialty.